David Chatterton studied at the Royal Northern College of Music and Manchester University on their Joint Course, where his trumpet teachers were Alan Stringer and Howard Snell. As a trumpeter he has played with orchestras such as the RLPO, CBSO, BBC Philharmonic, Royal Shakespeare Company, Manchester Camerata, Royal Opera House and the BBC Concert Orchestra. He is Head of Brass and Percussion at Chetham’s School of Music in Manchester, and has taught at the University of Huddersfield since 1992. 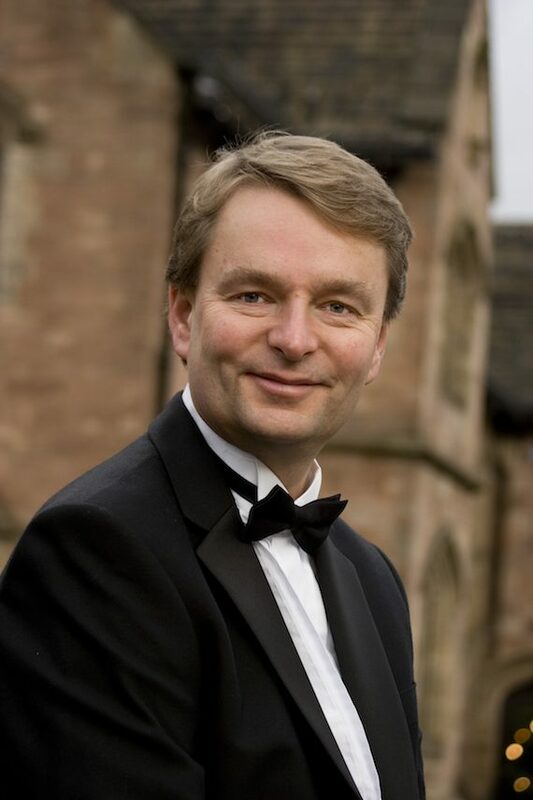 David has conducted the Chetham’s Symphonic Wind Orchestra for the past five years, including their appearance at the WASBE Conference in Killarney in 2007, and was invited to conduct the Festival Wind Orchestra at the 2001 Jeonju Sori Festival in South Korea. David was made an Associate of the Royal Academy of Music in 2005.